Hul-based Safety expert Arco and contractor Clugston has welcomed local students to Arco’s new National Distribution Centre (NDC) as part of the Open Doors initiative. 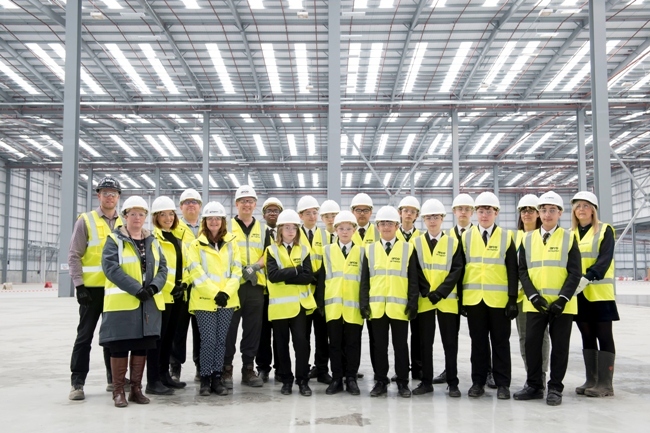 Up to 50 students had an exclusive opportunity to tour the site, which is adjacent to the A63, to see first-hand the construction processes and the progress being made in the build of Arco’s NDC extension. Following the tour pupils had the chance to meet the Clugston’s team to learn about the diverse and exciting range of career opportunities that construction has to offer as well as the wide range of skills required to make buildings and infrastructure part of our everyday lives. Open Doors, an industry wide initiative, delivered by Build UK, in partnership with CITB under the banner of Go Construct, enables students from across England, Scotland and Wales to look behind the scenes of major ‘live’ construction sites, offices, factories and training centres.